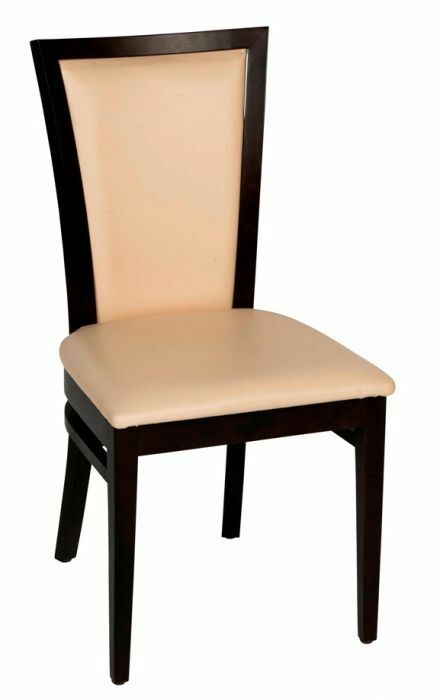 Stylish wooden dining chairs in a choice of three leather colours and a solid wood frame in a Walnut or Natural finish. 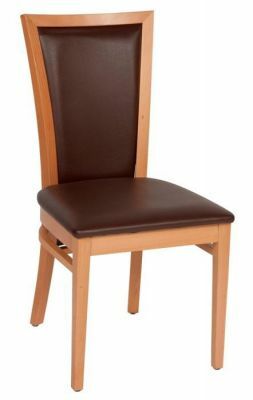 Available from stock for a 2-3 day lead time. 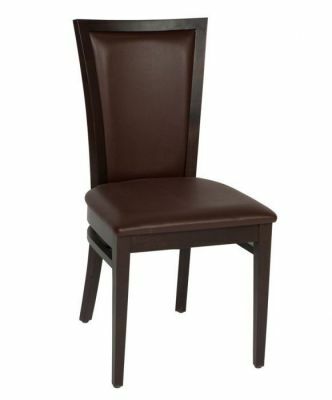 High back dining chair with a wood construction and square upholstered seat and back. Choose from a range of contrasting finishes to suit the design of your restaurant space.